The Oaks at Salem is a gorgeous unique wedding venue nestled in the country side between Cary and Apex. 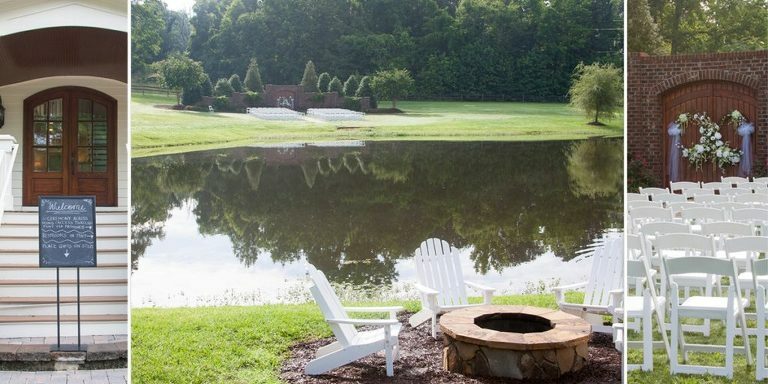 If you are looking for all the ambiance of an outdoor wedding with an open air reception with cool lake breezes, then it does not get any better than this venue. All your guests have to do is drive up and give their keys to the valet parking attendants and have a great time!! The ceremony site is just a short walk around the lake. Imagine the look on your finance’s face as you round the lake on your way to meet him to begin your journey as husband and wife. The bridal room is the perfect location to get ready and can accommodate a very large bridal party. Complete with large mirrors. The Groom’s preparations area is a real “man cave”. It has a flat-screen TV so the guys can keep up with all their favorite teams while getting ready for the wedding. 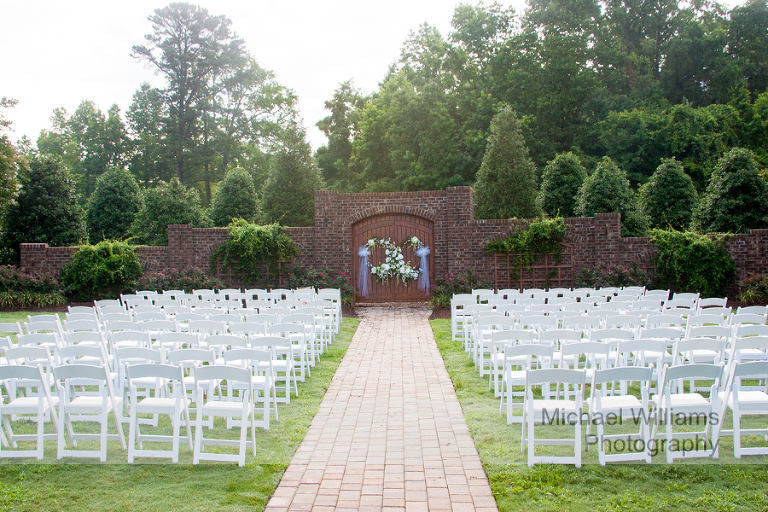 The ceremony location is across the lake with a completely handicap accessible walk way. For beautiful couple portraits, The Oaks at Salem has multiple options. The split rail fence is beautiful, the old barn, the swing under the tree and then there’s a two acre field just perfect for intimate open images.